Ummmmmmmm, Zaffrani pulav,the name itself spreads so much of aroma. 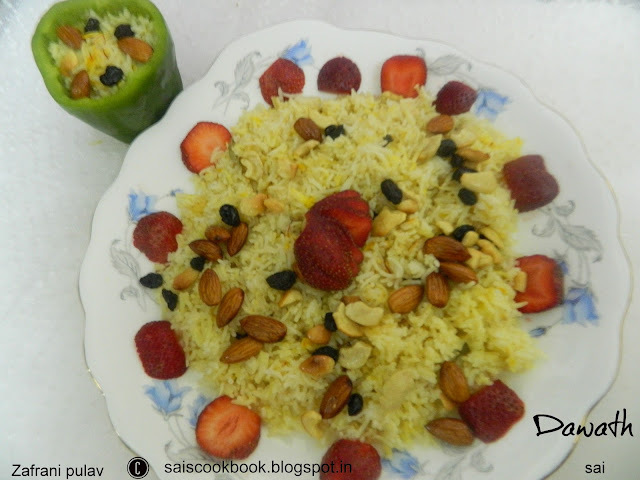 Zaffrani pulav is a rice preparation made with the Saffron strands and spices.A very simple preparation and mild in taste.You may prepare this pulav sweet if you have a sweet tooth.My folks don’t prefer sweet taste so I didn’t make it sweet.I adapted this recipe from my Fb friend S,where again we were given a task to prepare this.Original recipe is of Aditya Bals. I just love the flavor and taste of saffron and the color is too catchy.When I was carrying my first baby my husband had made me to drink saffron milk which he specially got it from Kashmir,lol,used to really hate then…. Kashmiri saffron is very famous.You may refer to this site on Kashmiri saffron for more information.This Saffron pulav is indeed a beauty. 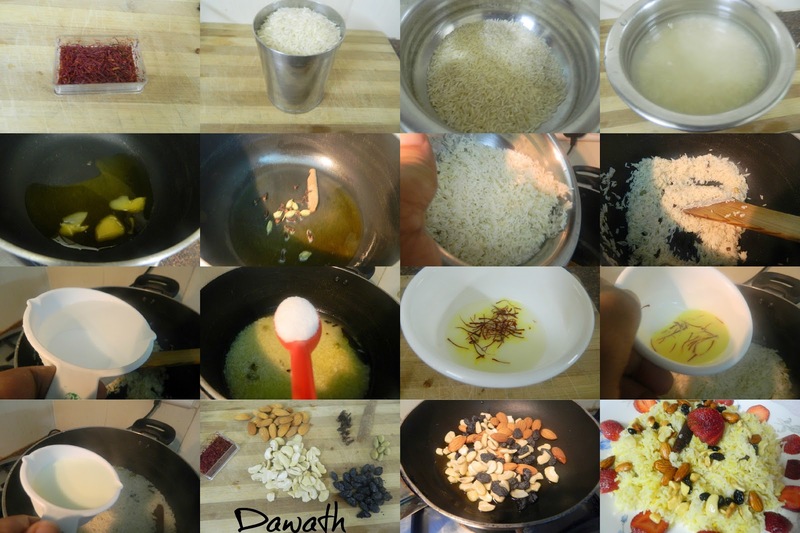 Soak the rice for 10 minutes and drain it completely. Soak saffron in milk for few minutes and keep it aside. Heat ghee in a deep bottomed pan and add spices,saute for a minute. Add the rice and saute for 2 more minutes. 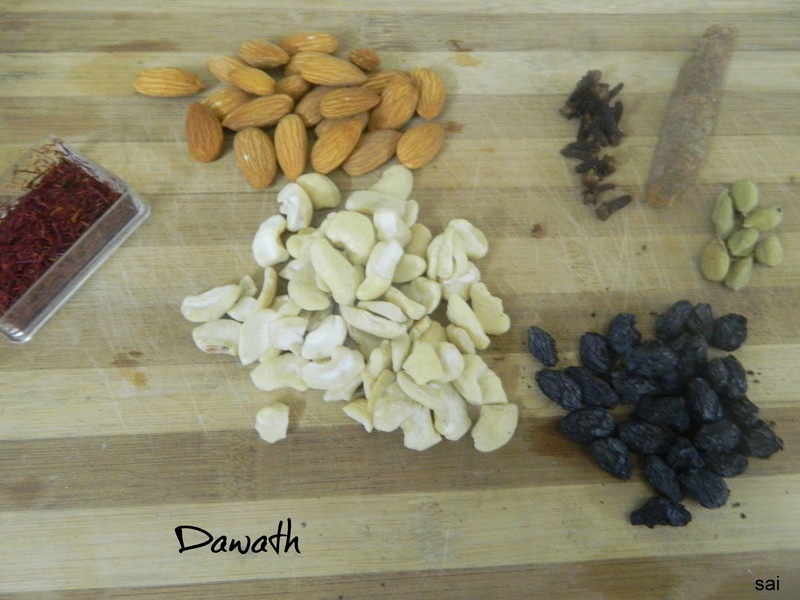 Add water and salt to taste, Jaggery and cook it in simmer. 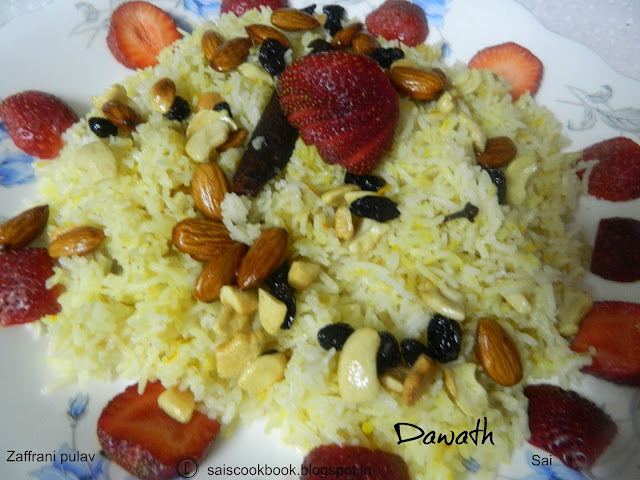 Once it is half cooked add milk and saffron mix and cook till it is done. Don’t disturb the rice when it is getting cooked as the grains might break. 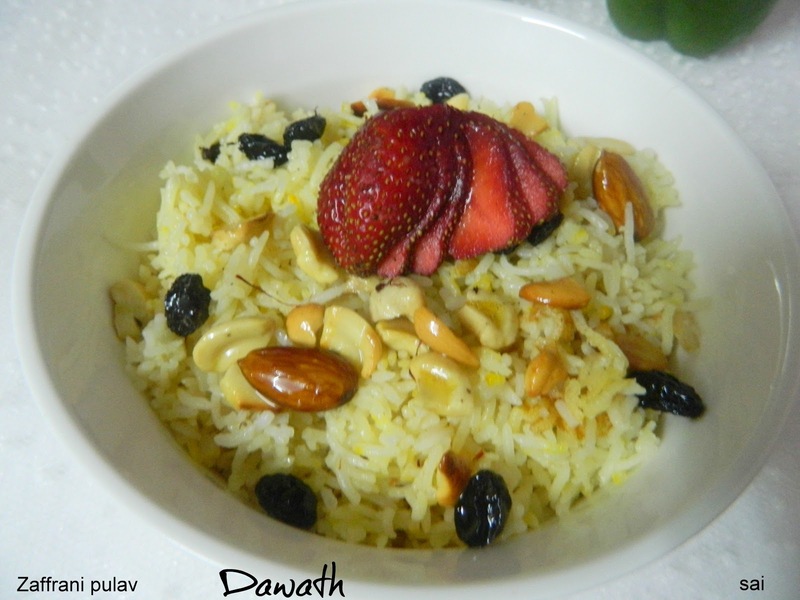 Roast the dry fruits in ghee and garnish it to the rice. I have not added the Jaggery,I preferred to keep the rice mildly flavored. Thanks Priya 🙂 Do try ,its indeed very nutty and tasty.